Today is a big day. 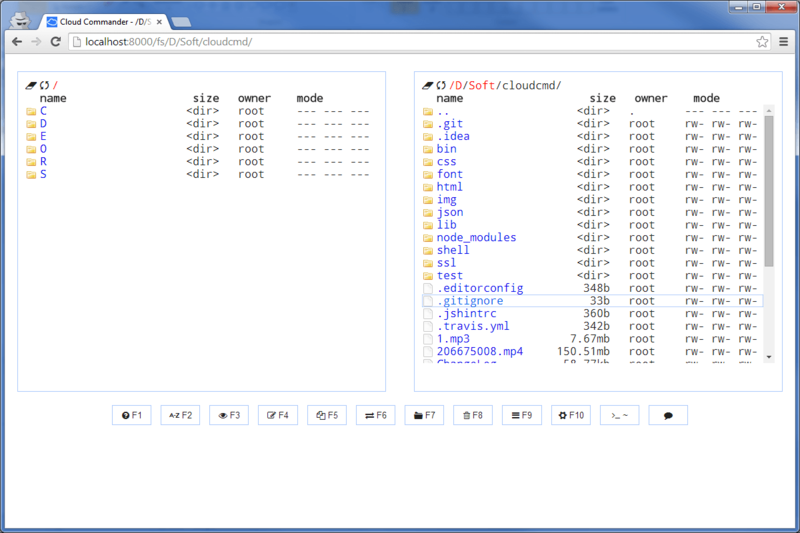 Cloud Commander version is 1.0.0. It’s realy stable, I’m not kidding you :). I use it for work on my projects, write articles like this one in Russian. I hope you will be happy with improvements and fixes it has. If no, feel free to make issue, pull requests are wellcome. Lets talk about new things that are waiting for you in this big release. That’s right. This icons hasn’t changed so long time. They was with us almost from the start. But the time is come for changing and now this icons is part of one Font icons set. One more big change is console. Which is shows pathes in Windows, Linux and Mac. You could relax and stop typing pwd all the time to know in what directory are you now, like it was with me. 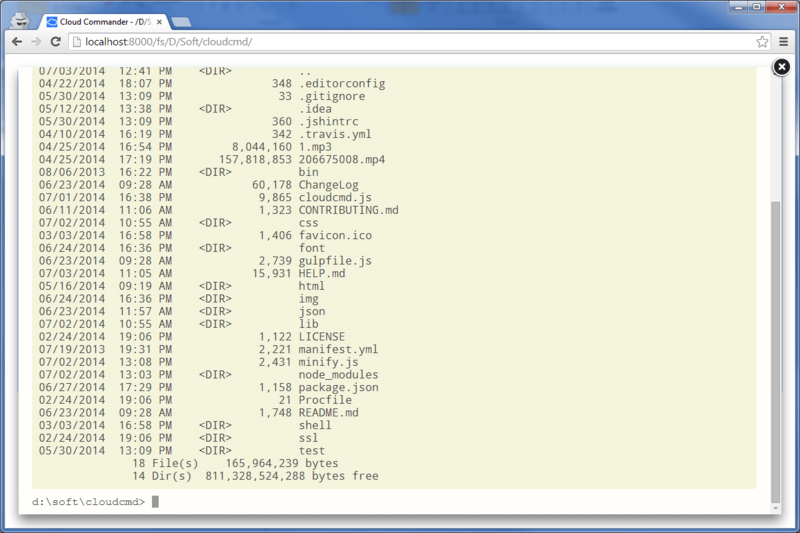 If you worked in Windows you could notice that in Cloud Commander was not support of volumes. That is right. Only one volume, where process started. And that is all. But it’s not fair for windows users. For now volumes support would be integral part of Cloud Commander, I’ll do my best for it. It’s must work properly from Windows XP to Windows 8. That’s all I have tested. 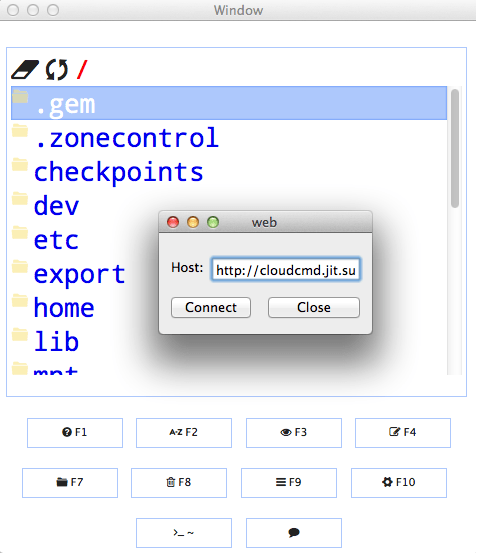 I want try something new and start working on Mac OS client for Cloud Commander. It’s very simple for now. I’m new to Objective C so pull requests are welcome :). I created wiki at Cloud Commander’s repository. Feel free to add some information and thoughts. That is all for today. Happy using :). All content copyright Cloud Commander © 2016 • All rights reserved.